Hidden in the backyard of Haus Schwarzenberg cozy »Open Air Kino Mitte« opens its doors for cinema screenings in summer. 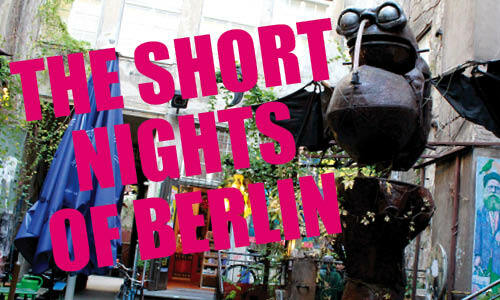 This year we will have four nights available for you to screen your Berlin short. You can submit via filmfreeway. Your film must either take place in Berlin or must have a significant connection to Berlin, can be up to 25 minutes and must be in english, with english subtitles or with no dialog.